・Is there any seat available for 1/2(one/two) holdem? ・I’m afraid there is 5 waiting at the moment, but I have a seat for you in 2/5. ・Please put me on the waiting list for 1/2. ・I’ll play 2/5 for the moment. Could you tell me when there is a seat open in 1/2. ・I’m in for 400 bucks. 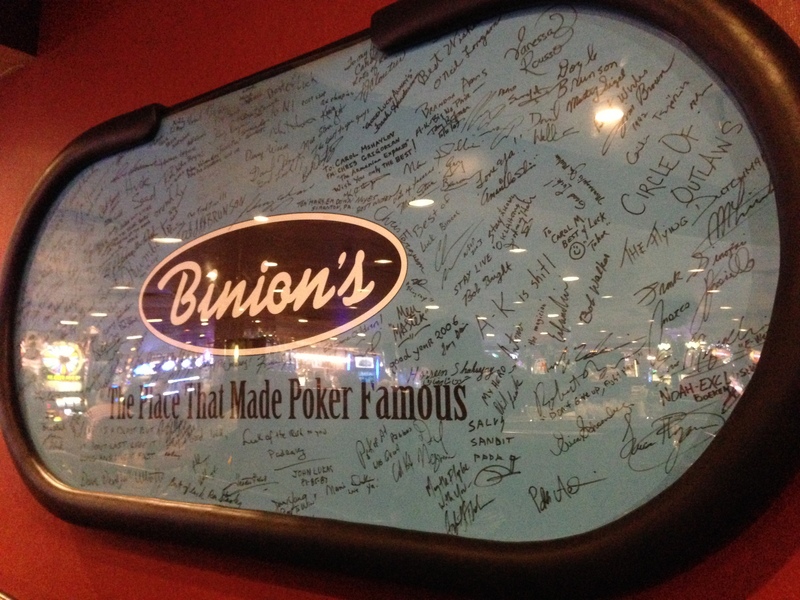 ・Is the registration for $220 buy-in tournament still open? ・How much do you have behind? ・I have about 30k behind. ・I started the hand with 4500. ・How much did you buy-in for? ・How much is it to call? ・How much is it total? ・Can I have a count please? ・Could you spread the pot? ・Would you show me your hand if I fold? ・I’ll show you my hand if you fold. ・Do you want to chop it? ・I should be on the button, because I just played small blind. ・I would have shoved if you didn’t. ・ I put you on draw. ・I really don’t know where I’m standing. ・I will check in the dark. ・I know you have nothing… But I check. ・Well, you’re right. I only have ace-high. ・Hm, ace-high is good. Why didn’t I bet on the river? ・I’m sure I was ahead until the river. ・I was ahead to start with. ・I thought I had you beat. ・I flopped the nuts straight, but the river gave him higher straight. ・I was open-ended in a 9 high board. ・How can you call with such a trash! ・Are you a regular here? 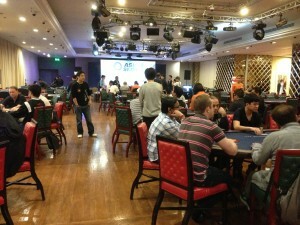 ・He just got his aces cracked by jacks, and lost whole his stack. ・Oh, I guess I have to call. ・I’m gonna catch the next bus anyway.